This is just one way to shape a puff pastry shell. It’s very fast and practical to do and creates a light border that isn’t too thick, heavy or high. 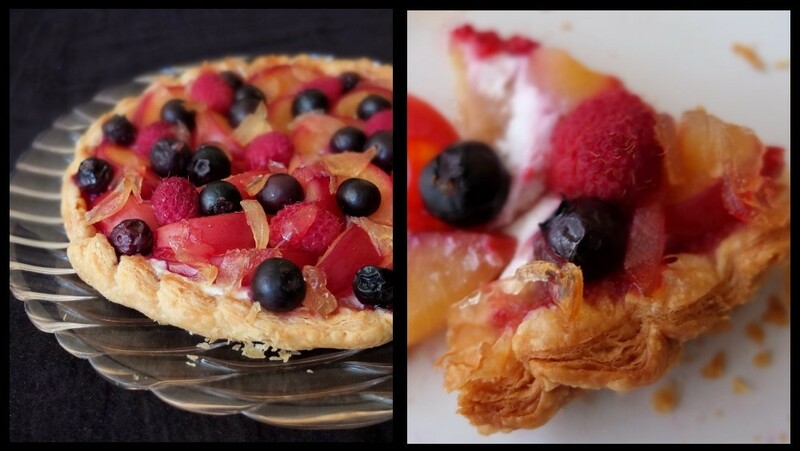 Perfect if you just want a lightly defined edge to a fruit or savoury tart that doesn’t have a very liquid filling, this shell works well for fruit tarts with a thin layer of Quark or fresh soft white cheese under the fruit. 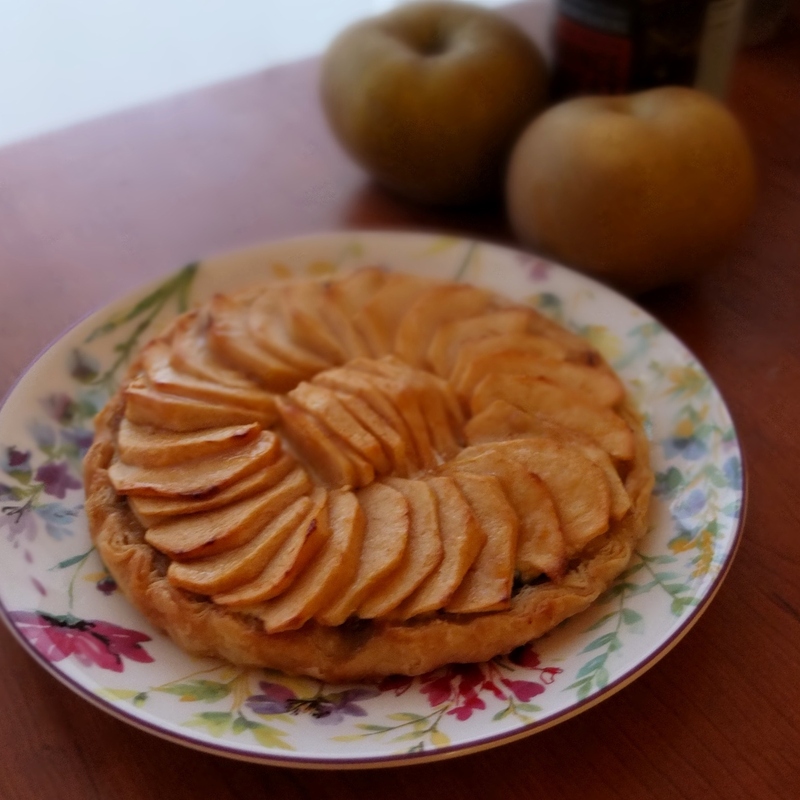 Also great for a mincemeat, quark and apple tart. 180-200g/6-7oz puff pastry. 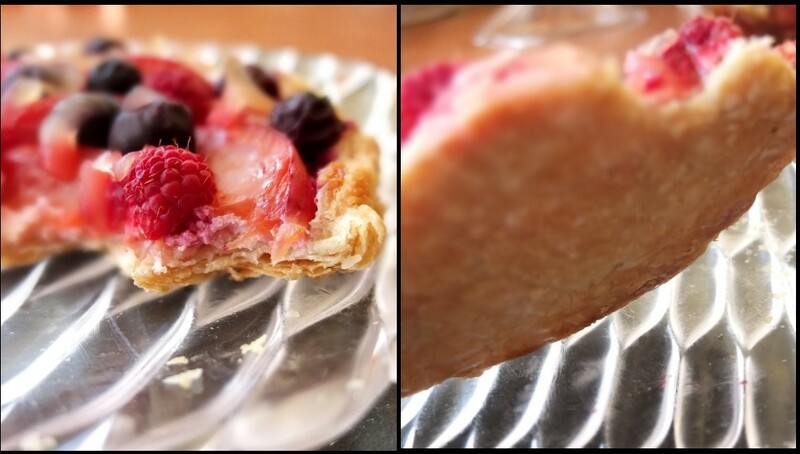 Homemade inverted puff pastry is perfect. It holds and flakes really well and there’s no soggy bottom or middle. Buying good-quality all-butter puff pastry is also great. a plate or cake tin of 20cm/8in diametre. Lightly flour your work surface and roll out your pastry till it’s 2-3mm thick. 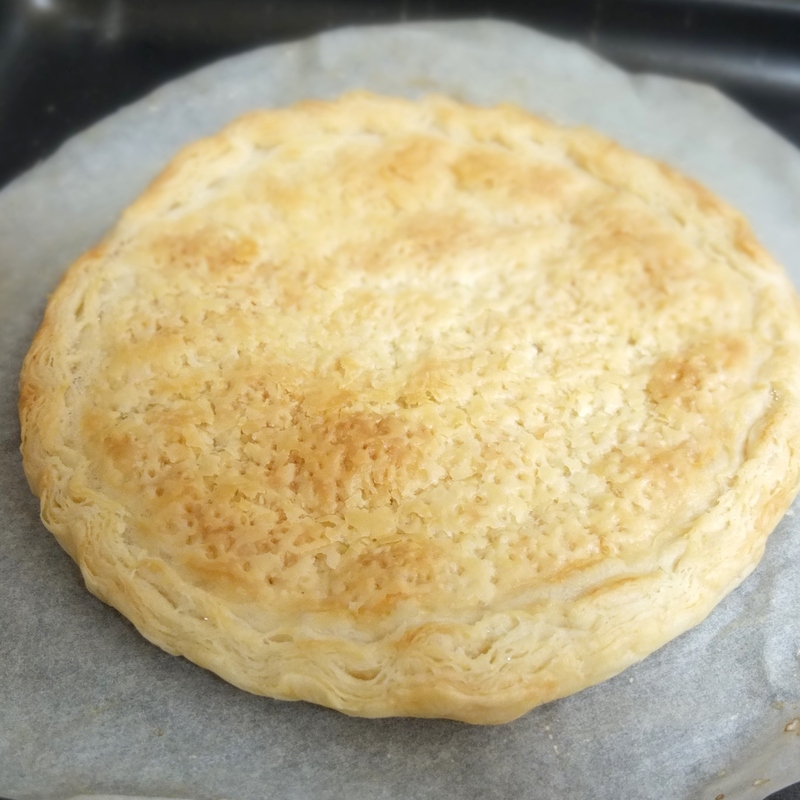 Place the pastry on your circle of baking paper. 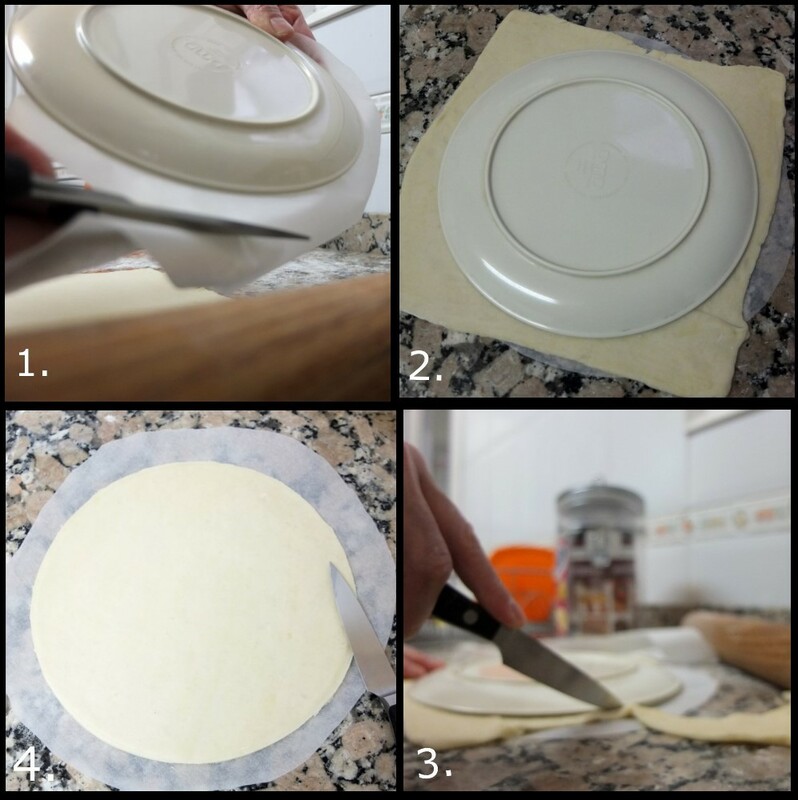 Place the 20cm/8inch plate/tin over the pastry and cut around it with a sharp knife to make your circle. Brush very very lightly with water around a 2.5cm/1in rim (if the pastry is wet it’s difficult to handle). Shape your pastry shell as in the video below. When you pull the pastry towards you with your left hand, do it at a diagonal angle. Prick the base of the shell (not the raised border), all over and all the way through so your fork goes through to the paper. Place on the baking tray. 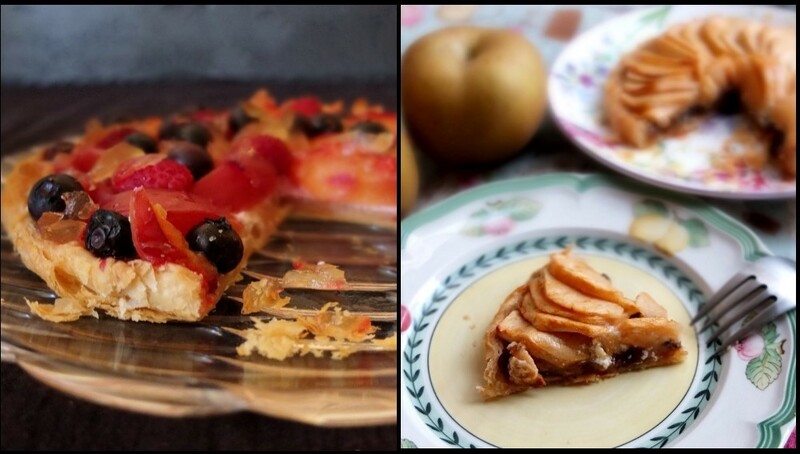 Place your tart shell in the fridge for at least 30-60 minutes. During this time preheat your oven to 200°C/400°F (static, non-convection oven) or 180°C/350°F (fan-assisted). To lightly bake your shell before returning to the oven with a filling: after chilling your shell, bake in the middle of the oven 15-18 minutes till your shell is light brown and lightly baked. If the pastry is rising in the middle then wait till it’s been 10 mins in the oven and use a fork to prick and flatten, then continue to bake. Spread out the filling gently on the shell and return to the oven to finish baking (for fruit this usually takes around 25-30 minutes). To fully bake your shell: after chilling your shell, bake in the middle of the oven 25-40 minutes (depending on your oven and thickness of pastry) till your shell is golden brown and baked all over but not burnt. 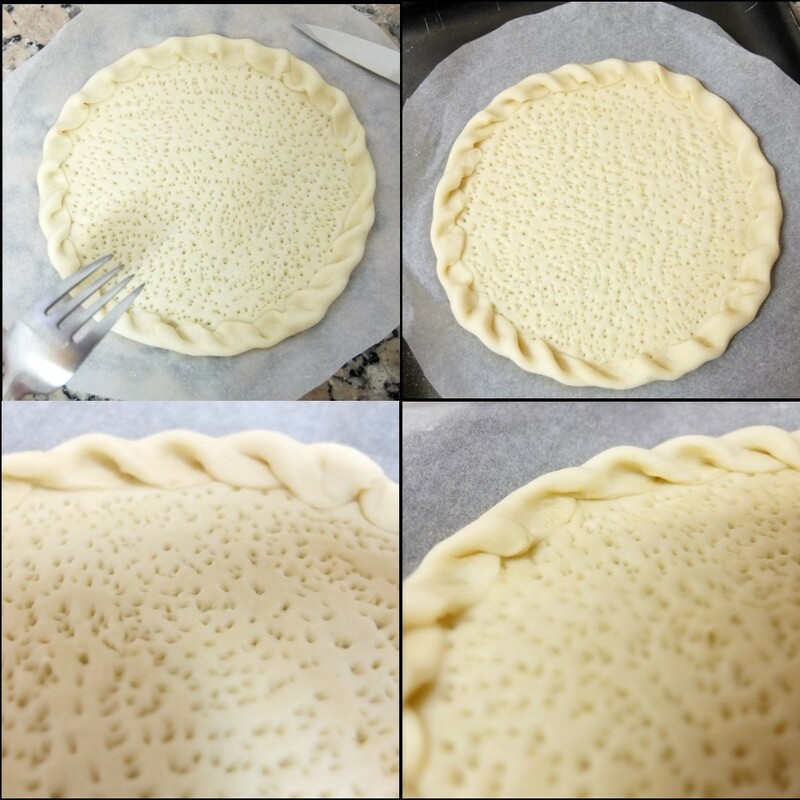 If the pastry is rising in the middle then wait till it’s been 10 mins in the oven and use a fork to prick and flatten, then continue to bake.